Spring is the best season. Anyone who says otherwise is wrong. Anyone who claims fall is better is secretly paid to say it. 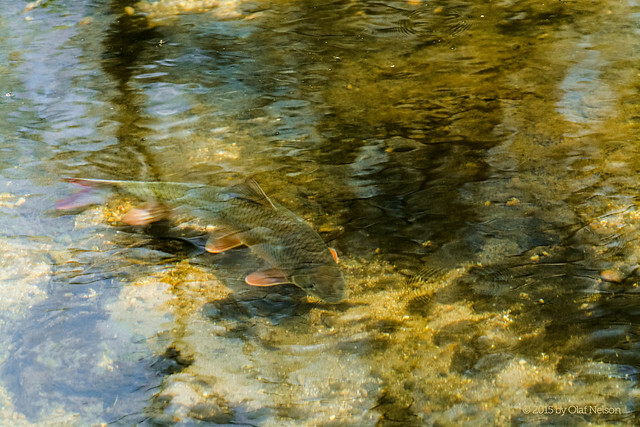 Among the surest and most exciting signs of spring are the annual spawning runs of various fish in local waterways. The arrival of White Bass (Morone chrysops) in large numbers makes for exciting fishing. Though futile from a reproductive standpoint, the runs of Coho Salmon and Steelhead (Rainbow Trout) up Lake Michigan tributaries in Wisconsin and Indiana can provide some trophy fish. Above all, though, the congregation of spawning suckers signals the irreversible arrival of spring. 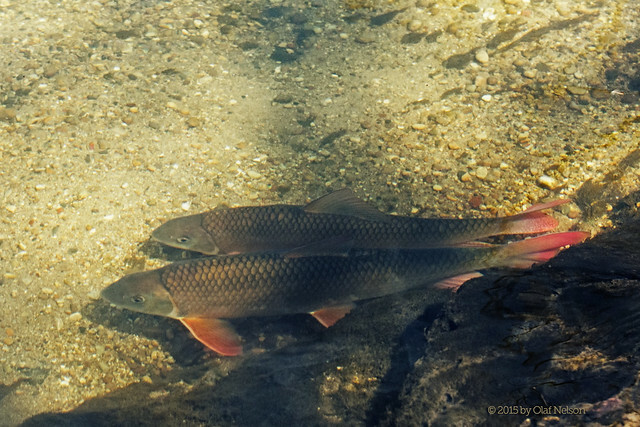 If spring is new life, rebirth, renewal, etc., then hundreds of spawning redhorses are every bit as vital a symbol as any fawn, lamb, Easter egg or daffodil. 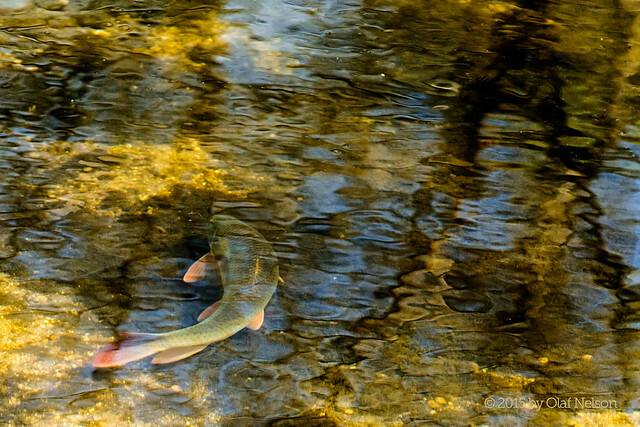 On the first of May, I visited my favorite redhorse stream (where less than 2 weeks earlier I had caught what would have been the new state record shorthead redhorse) to see if anyone was home. They were. 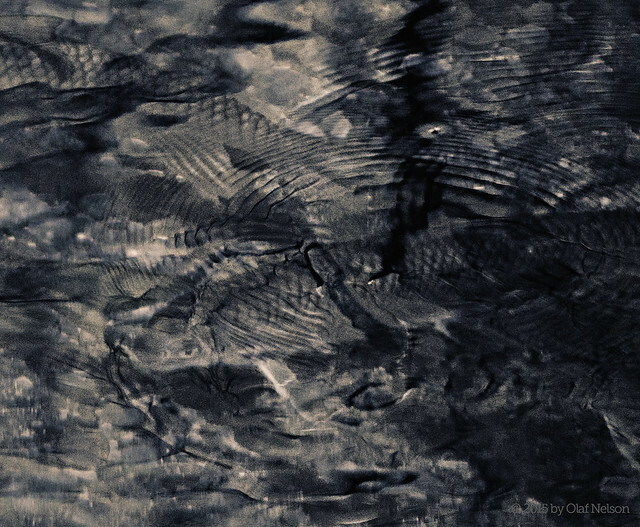 I shot some photos and a little video of the spawning fish. Attempts to get underwater video with my GoPro failed because I spooked every fish in the creek in my clumsy efforts to place the camera, so that will have to wait for next spring. Among many photos of semi-interesting reflections, there were a few that made the cut. Watch the video https://youtu.be/vVG3-MDrIkA in the highest HD it will allow or lots of detail is lost. (Click the little gear icon and choose the highest quality option you see. Turn off “auto” if necessary.) If you really like hot redhorse action, click the full-screen icon in the lower right corner. You’ll be glad you did. Tagged Illinois, photography, photos, shorthead redhorse, spawning, spring, suckers, video.